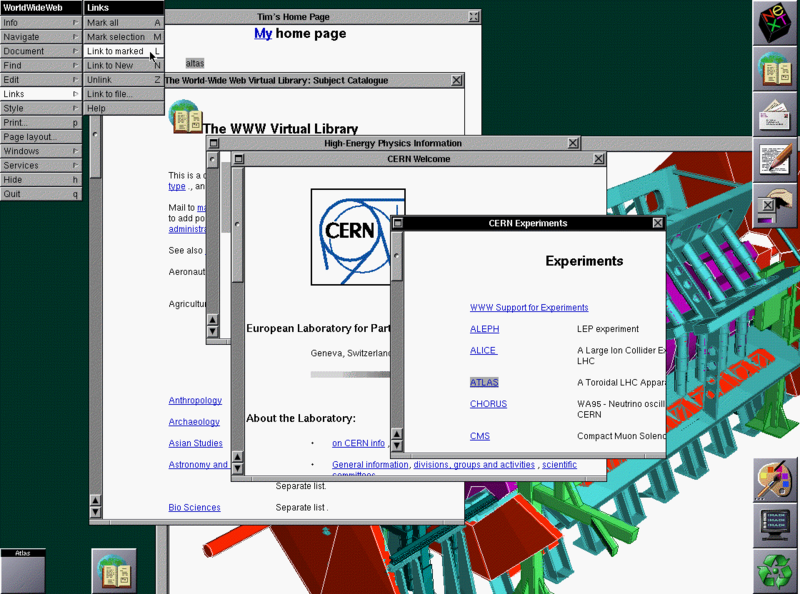 "The WWW Virtual Library (VL) is the oldest catalogue of the Web, started by Tim Berners–Lee, the creator of HTML and of the Web itself, in 1991 at CERN in Geneva. Unlike commercial catalogues, it is run by a loose confederation of volunteers, who compile pages of key links for particular areas in which they are expert; even though it isn't the biggest index of the Web, the VL pages are widely recognised as being amongst the highest–quality guides to particular sections of the Web." "myExperiment is a collaborative environment where scientists can safely publish their workflows and experiment plans, share them with groups and find those of others. Workflows, other digital objects and collections (called Packs) can now be swapped, sorted and searched like photos and videos on the Web. Unlike Facebook or MySpace, myExperiment fully understands the needs of the researcher. myExperiment makes it really easy for the next generation of scientists to contribute to a pool of scientific workflows, build communities and form relationships. It enables scientists to share, reuse and repurpose workflows and reduce time–to–experiment, share expertise and avoid reinvention. 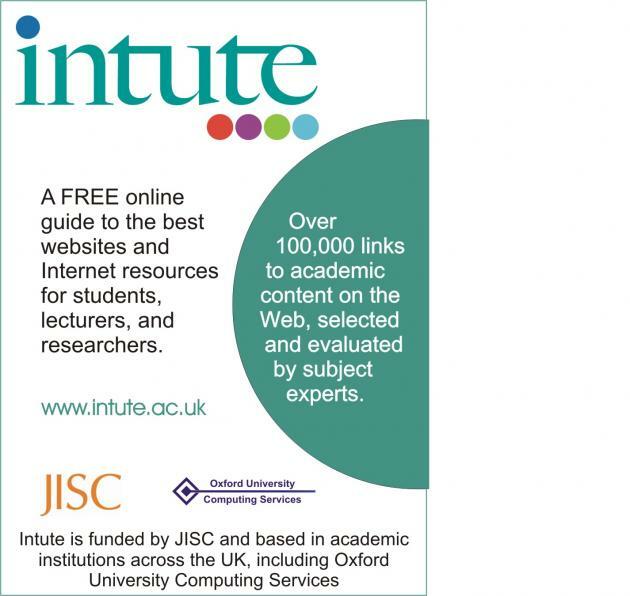 myExperiment is brought to you by a joint team from the universities of Southampton and Manchester in the UK, led by David De Roure and Carole Goble, and is funded by JISC under the Virtual Research Environments programme and by Microsoft's Technical Computing Initiative"
"Originally the liberal arts were seven in number. 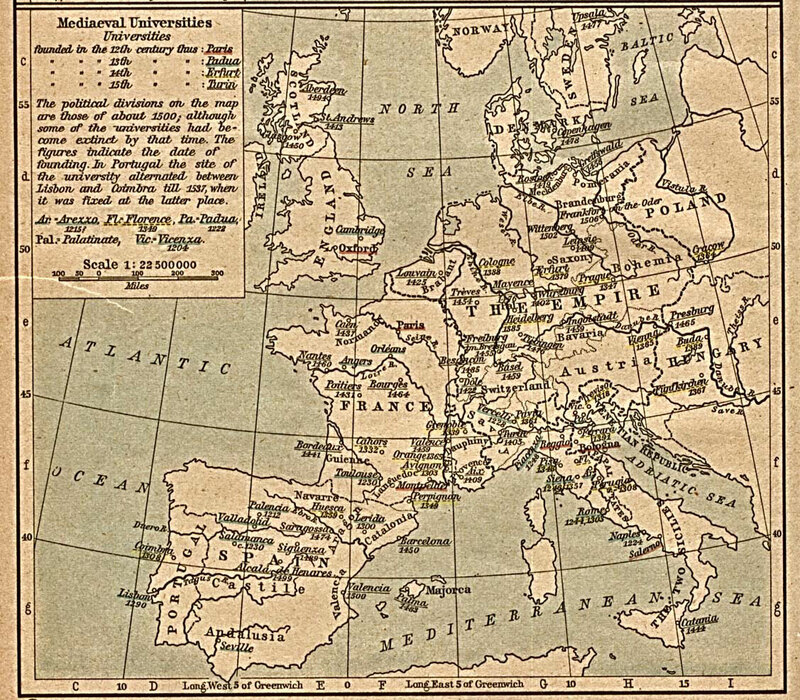 They were divided into the three–fold Trivium of Grammar, Logic, and Rhetoric, and the four–fold Quadrivium of Arithmetic, Geometry, Music, and Astronomy. These words mean, respectively, a three–way and a four–way crossroads, implying that these paths of knowledge are fundamentally interconnected –– and, by extension, that all other paths can be found to intersect here, as well. The T[rivium]. was the basis of elementary education (whence we probably get the word 'trivial'): Grammar taught the craft of reading and writing; Logic, of careful reasoning; and Rhetoric, of effective communication. The Q[uadrivium]. 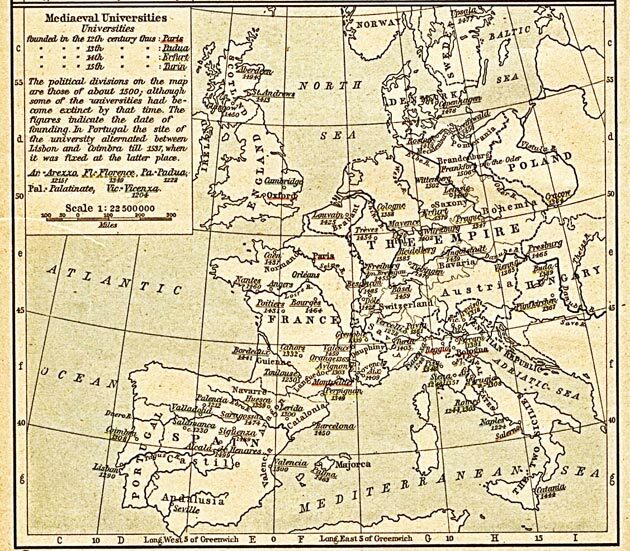 was the basis of advanced education: Arithmetic taught the science of number; Geometry, of form; Music, of sound (and of 'harmony' in the most general sense of the word –– 'number in motion', as it was often put); Astronomy, of time (of 'form in motion'). Moreover, from the very beginning, whether openly acknowledged or carefully alluded to, each of the Quadrivial sciences was accompanied by its complementary metaphysical art. Each dealt not only with the outer structures, but also with the inner meanings of its discipline. Thus, Arithmetic included Arithmology, the understanding that numbers were not merely quantities, but also qualities (that 'two', for instance, is also 'duality, polarity'); Geometry included what is nowadays called Geomancy, the understanding (in, for example, the design of temples or cathedrals, or in the graphic arts) that the spirit and the emotions can be affected in particular ways by particular forms; Astronomy included Astrology, the divination of the meanings of cycles of time; and Music included not only the study of 'practical theory', of nomenclature and technique (e.g. 'this is a minor third', 'this is the Mixolydian mode'), but also the study of 'speculative theory', of the meanings and influences of tones and intervals and scales. 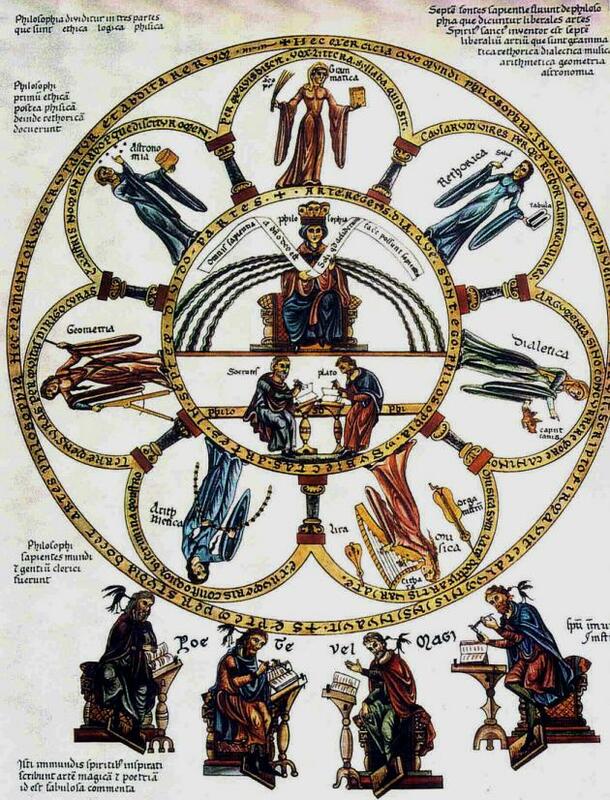 Traditionally the seven liberal arts have been positioned in opposition to the 'servile arts'. In this sense while the liberal arts generally refer to knowledge 'appropriate for free men' (social and political elites) the servile arts have been associated with specialised tradesman skills and knowledge e.g. engineering and design."